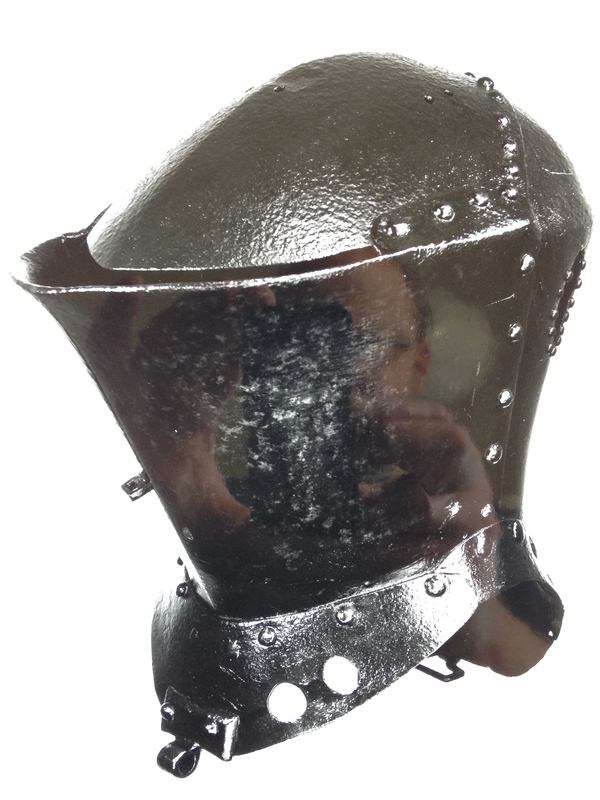 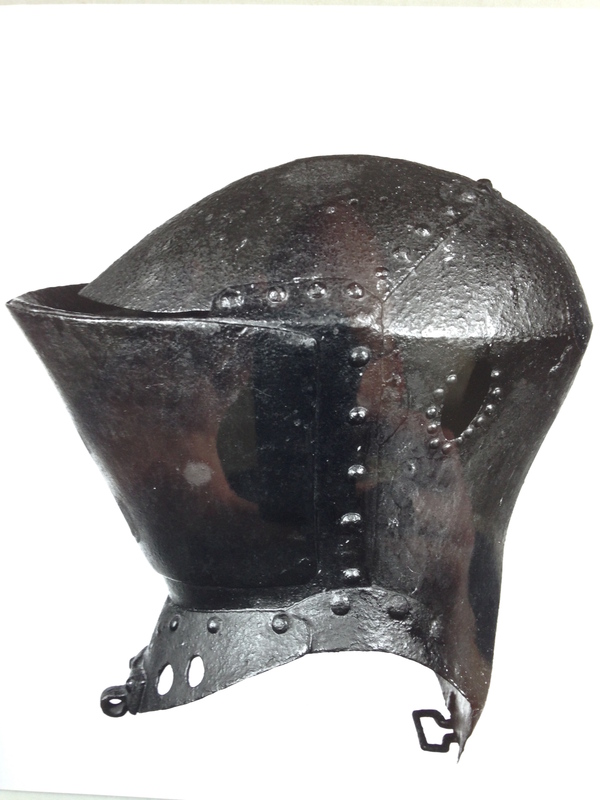 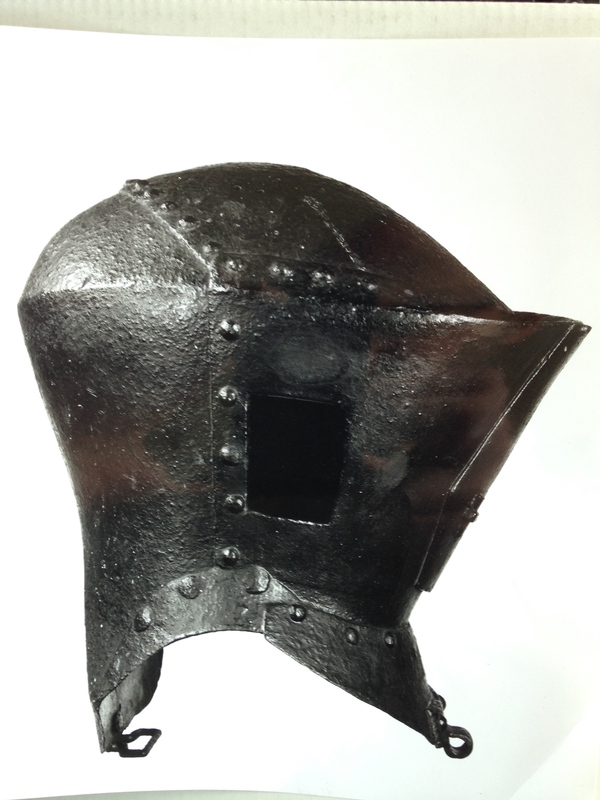 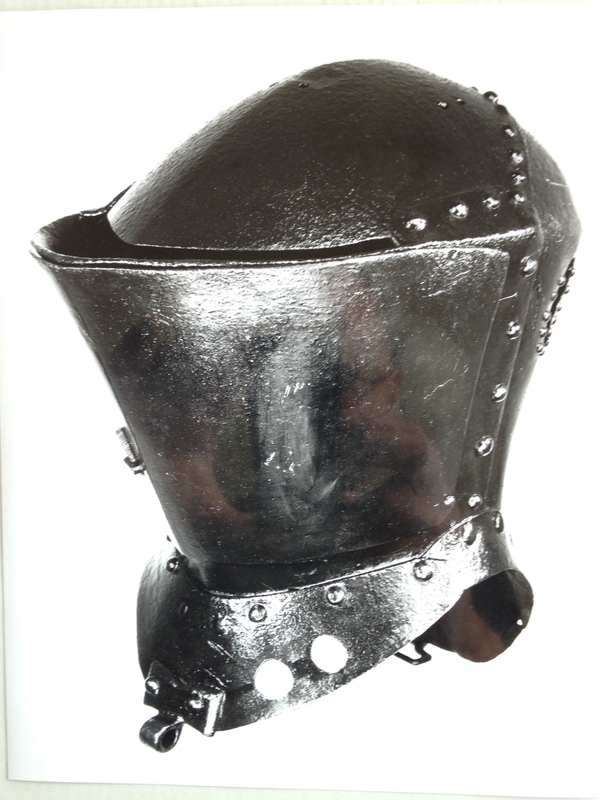 This helm is based off the original tilting helm attributed to Sir John Fogge (c.1417-1490) that currently still resides in St. Mary’s Parish Church, Kent. 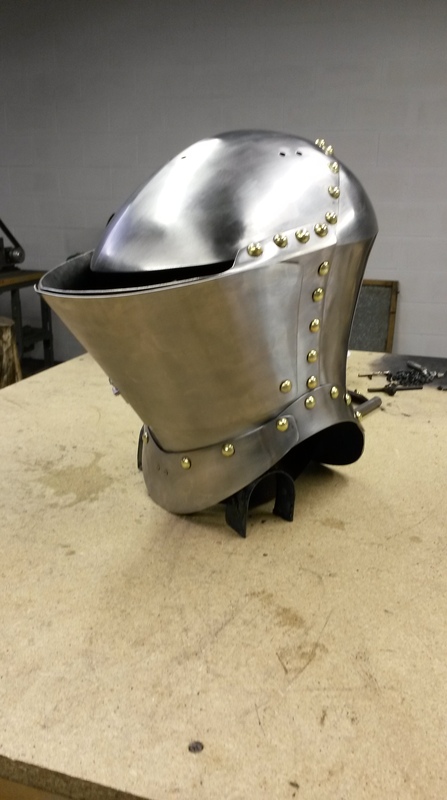 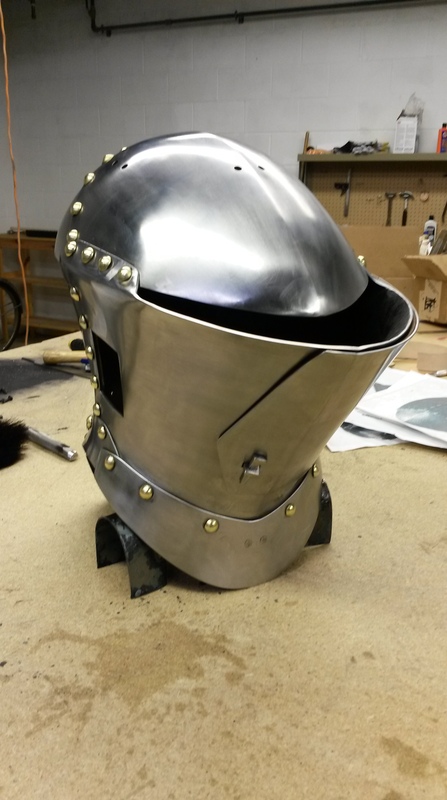 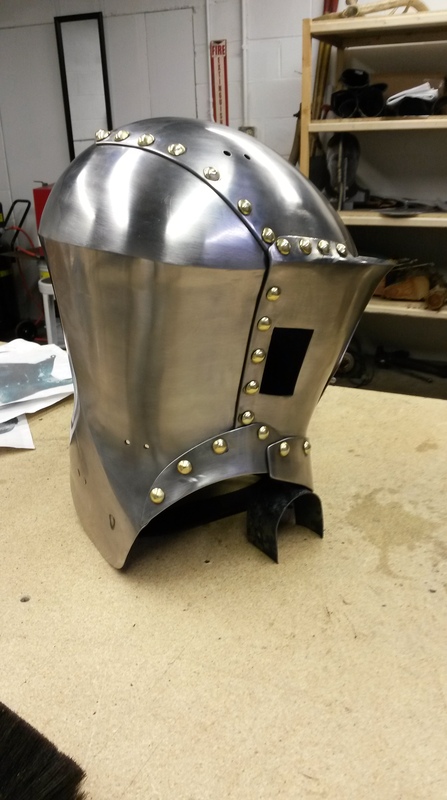 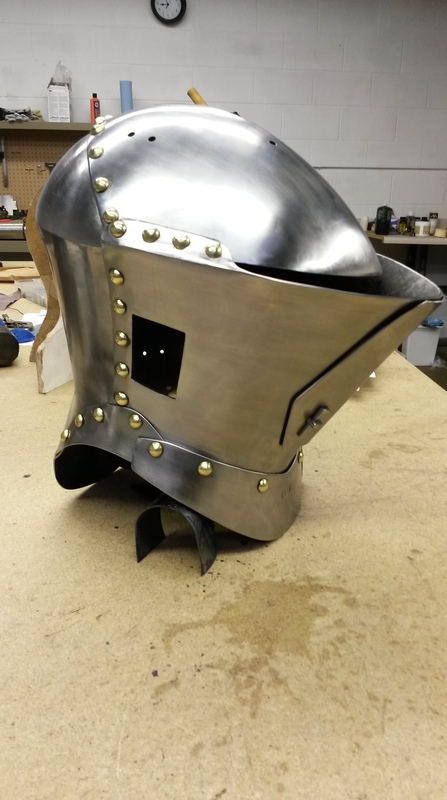 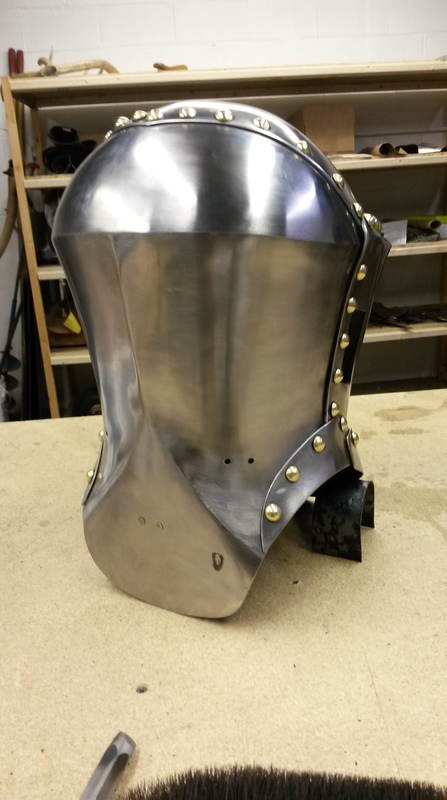 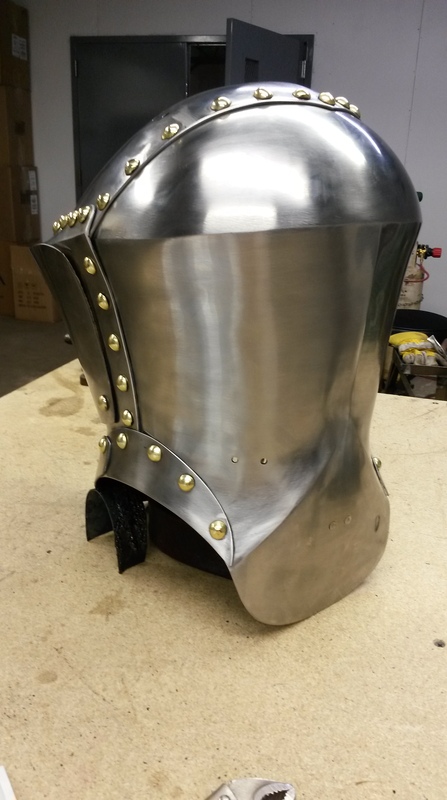 This helmet project was done out of hardened and tempered 1050 spring steel. 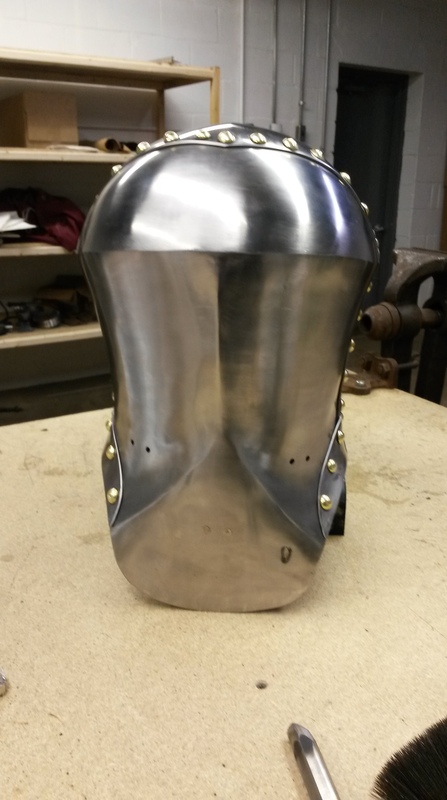 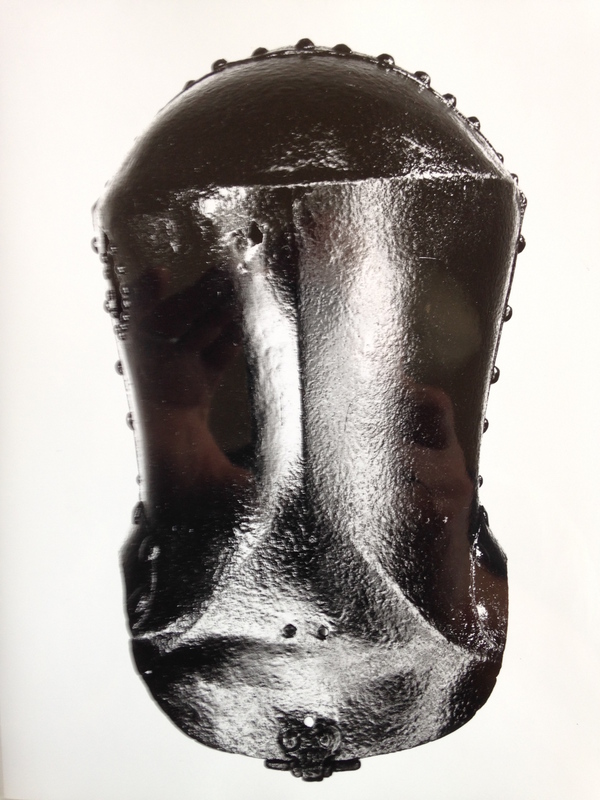 The front prow and skull of the helmet is 3mm thick and has a 2mm reinforce plate. 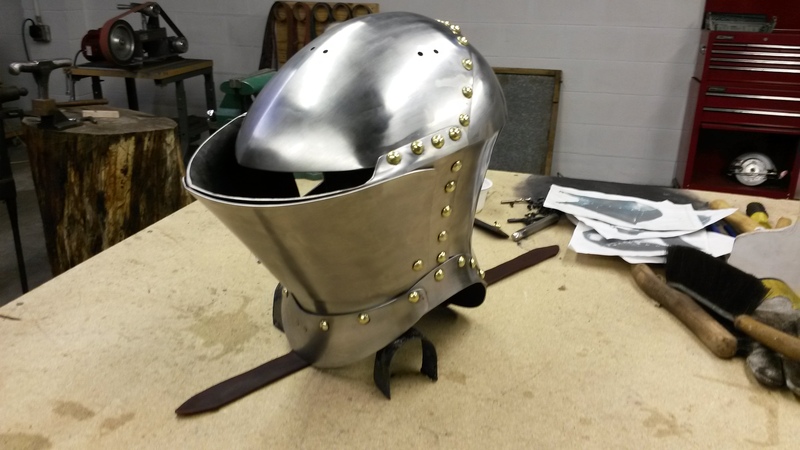 This commission also included a liner which was particularly fun as the customer requested it be done in a historical manner. 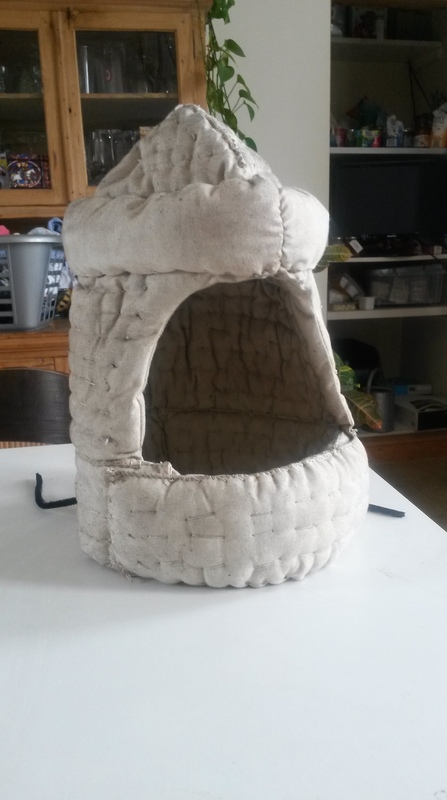 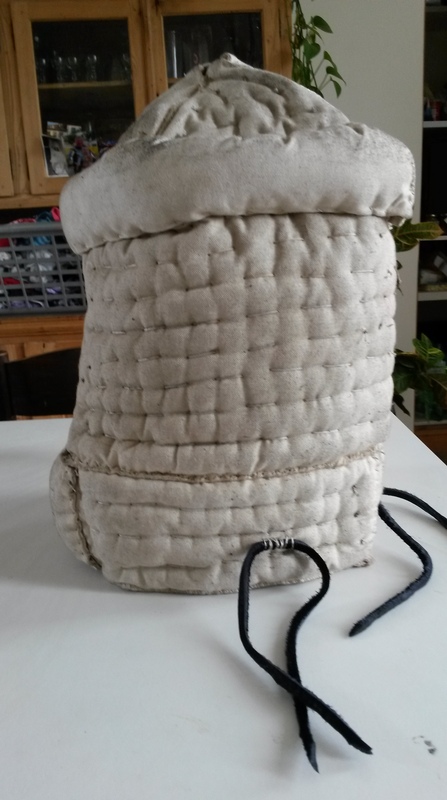 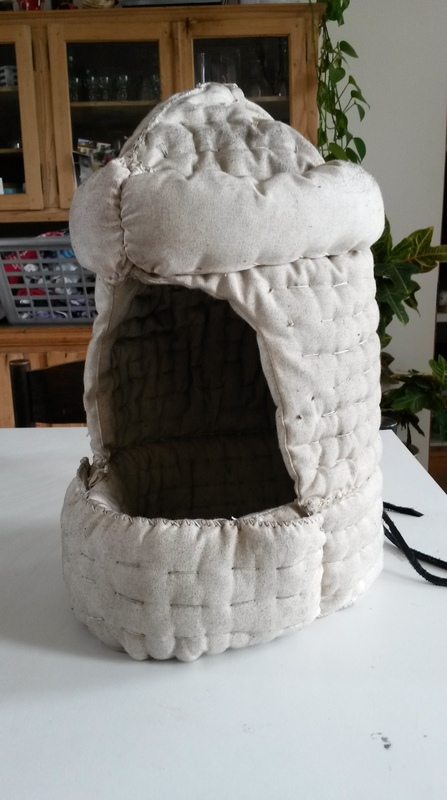 Therefore, it is made from fresh sheep wool filled to a thickness of ‘two fingers’ based on medieval references.